For those of you who have met me, you probably know that I like doing some unusual things solely for the experience. This time it came in the form of reading Jane Austen’s Pride and Prejudice. So why did I choose this book, one traditionally beloved by women? Well maybe that was the point. So many of the women that I interact with and find interesting and intelligent, adore this novel. Maybe if I read it, I too would understand why it is so cherished. And I suppose I’d be lying if I didn’t secretly hope that I would magically stumble upon the secret to becoming a modern day Mr. Darcy. Let me start by saying that I liked the book. The story is much more than a romance wrapped up in cliches that I have hated time and time again. There are some great characters throughout whose humor kept me interested throughout the tale, especially during some of the lengthier plot points. Also, I found that the historical bits about society entertaining, it was interesting to see how much society had changed in dealing with relationships (and also how much it hasn’t) and also Jane Austen’s satirical views on those customs. I believe the reason women who read this book love it is because they identify with Elizabeth and all want to find their own Mr. Darcy. The novel doesn’t really describe Lizzie making it easier for the reader to be able to imagine themselves as her. I, however, couldn’t identify with Lizzie in the way most women do, in fact there wasn’t really any character I could identify with (I suppose there is Mr. Bennet, except I think I’d considering shooting myself if I ended up with someone like Mrs. Bennet). While I liked the book I don’t think I could ever get obsessed about it like some fans. After all I don’t have any plans to watch the movie, read any other Jane Austen novels, or consume any of these other 176 books about Pride and Prejudice (Abigail Reynolds is an author who has published eleven books, all of them based on the classic book). 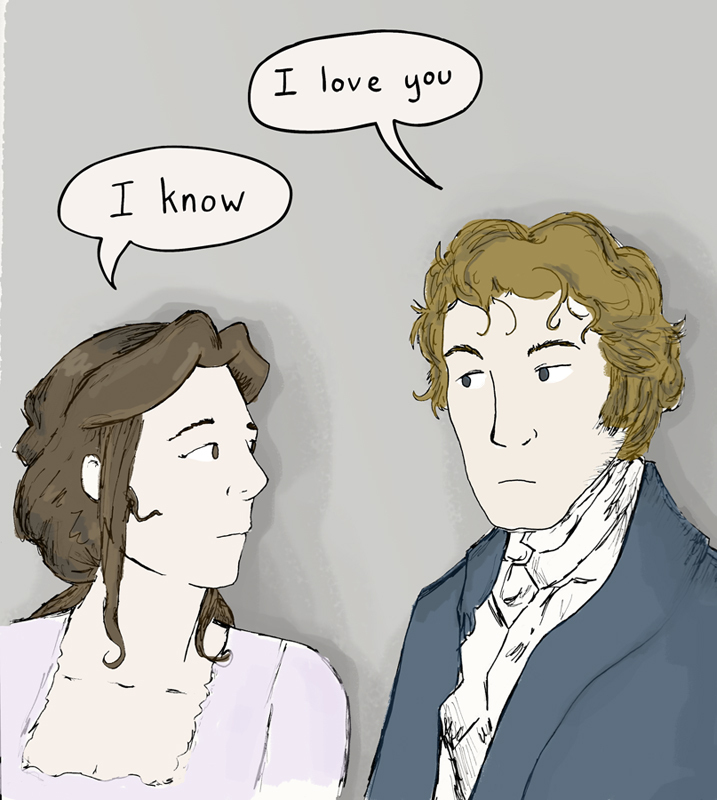 I should mention, the most enjoyable part of Pride and Prejudice was the actual reading of Pride and Prejudice. I’m talking about the discussions I’ve had with women about the story and which version of the film I should watch, the awkward part of those conversation when they tell me how hot Colin Firth is, and me having to explain to my male co-workers why I’m reading Pride and Prejudice and describing to them the intricate relationships while trying to appear that I don’t care about some “chick book.” I look forward to future conversations about it, and perhaps I will learn more about why women love Mr. Darcy so much and how to be more like him. While the novel didn’t teach me how to become Mr. Darcy maybe it taught me how to find my Elizabeth (or Jane… she seemed pretty cool too). This entry was posted in Uncategorized and tagged Abigail Reynolds, Elizabeth, Jane Austen, Man's Review, Mr. Darcy, Pride and Prejudice, star wars. Bookmark the permalink. I normally won’t allow an ad on my site, but I think it’s humorous that this woman posted about her spin-off… also it means I need to change the number above to 177.